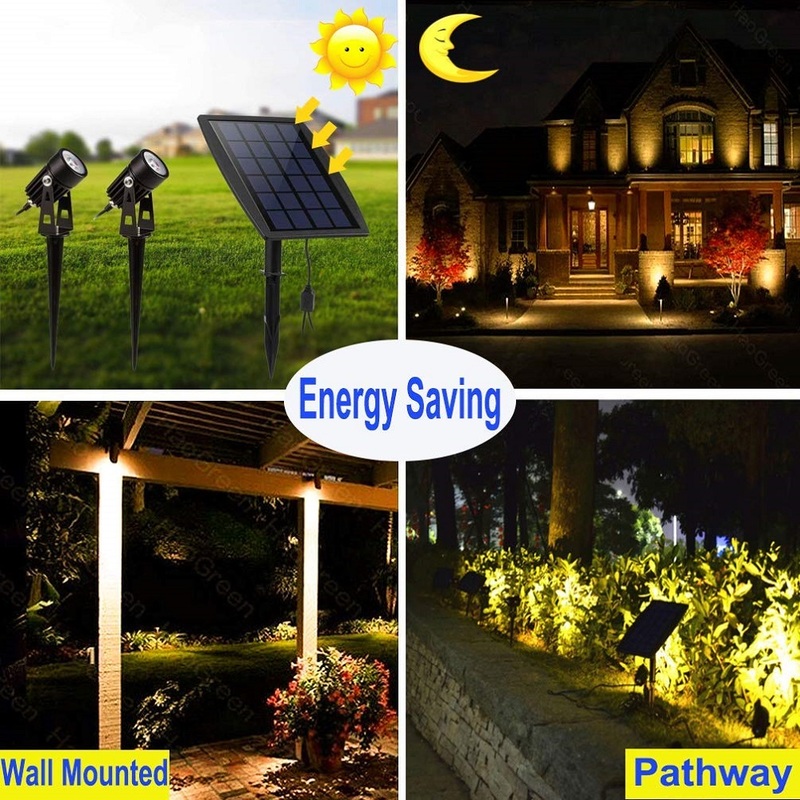 ● Solar powered& Auto ON/OFF: Solar charge courtyard lights, no need AC/DC Power, Energy saving 100%.The light will be auto ON at night, and auto off in daylight.The solar panel is brightness sensitive. ● Flexible&Durable: 6V/2.5w solar panel, 3m cables as long as enough for space them. 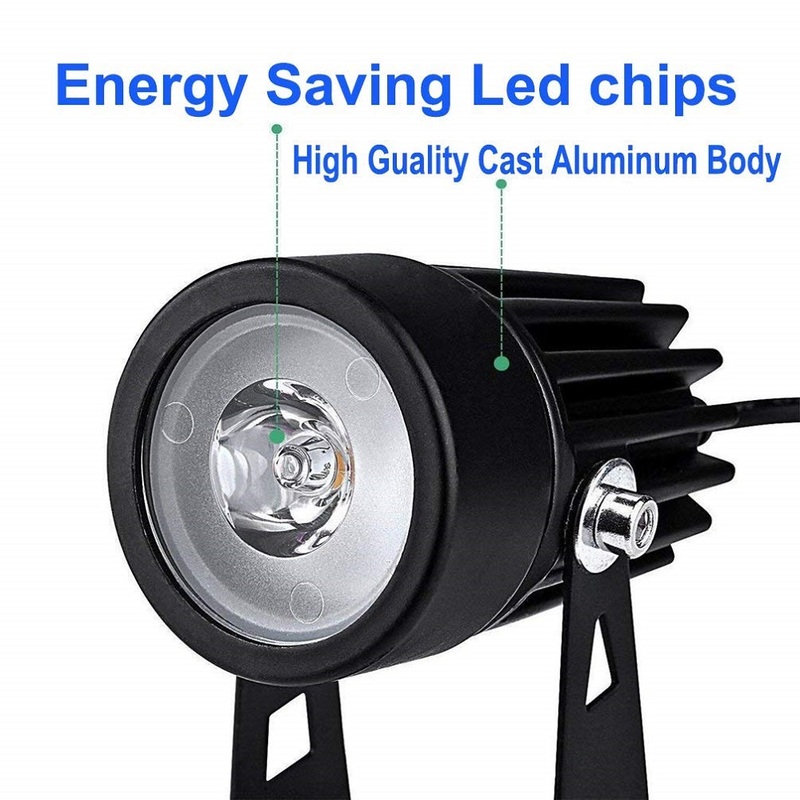 Die cast Aluminum instead of plastic to make it lifespan more than 50000 hours. No motion sensor. 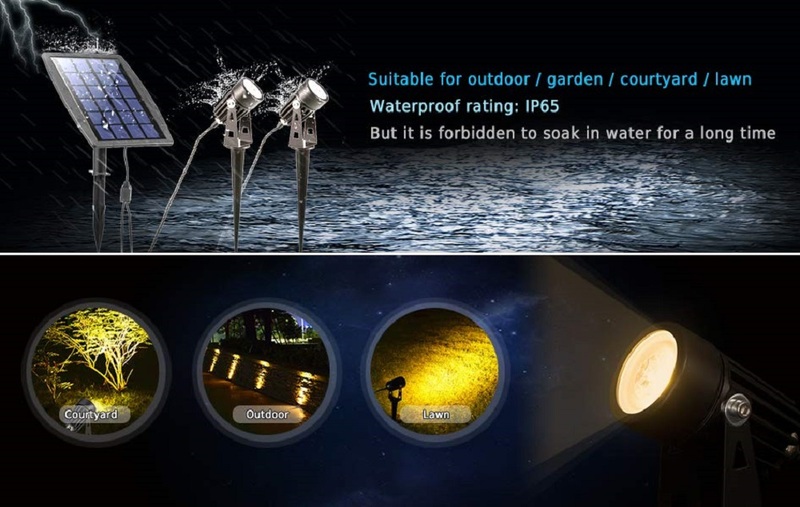 ● With a 2200 mAh battery, it can run 8-9 hours on a full charge. And there is only one color: Warm white. 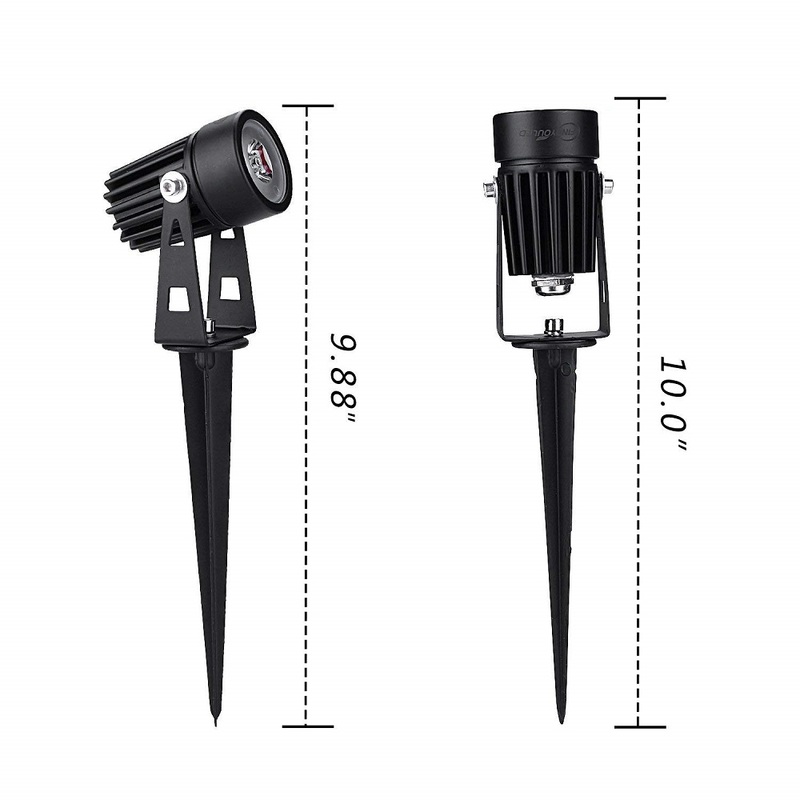 The lighting projection distance is 15 M, which can light your back-home road. 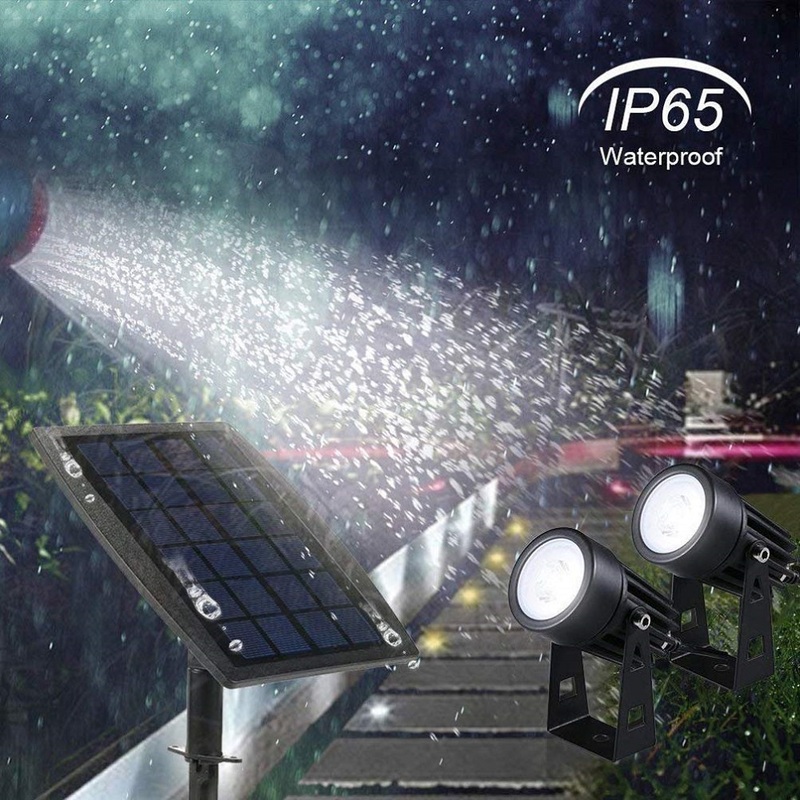 IP66 Waterproof ideal for garden courtyard patio backyard landscape. 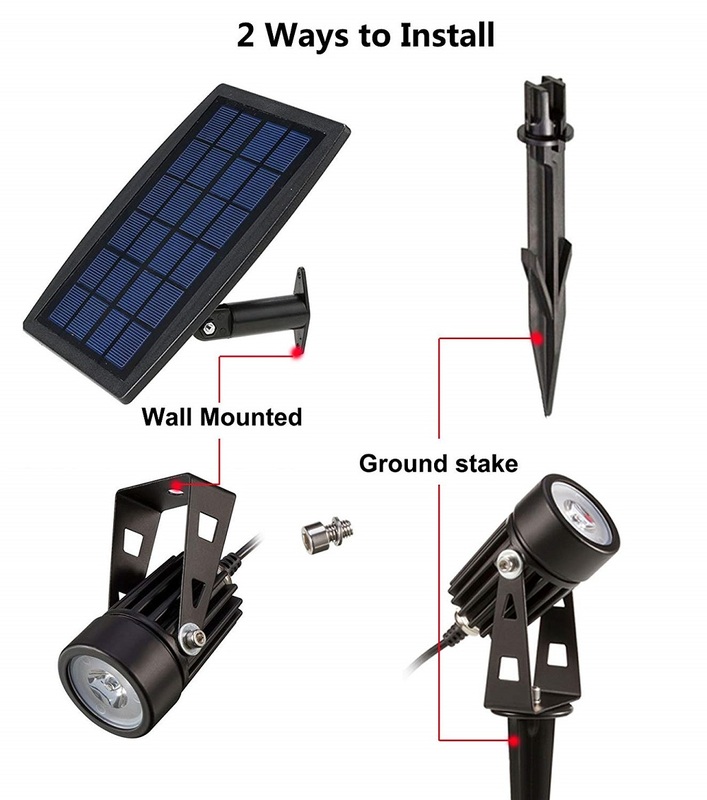 ● Two ways to install: With two screws, you can fix the solar panel on the wall OR just drive the stake into the ground. No wiring is needed. Very easy to install. 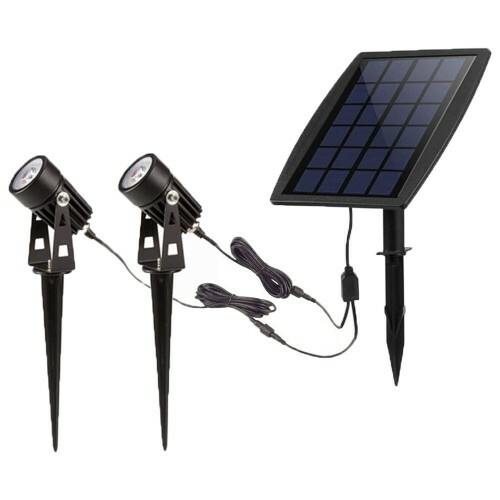 We also offer two stakes for the lights, you can use them to hold the lights Or just put the lights on the ground. 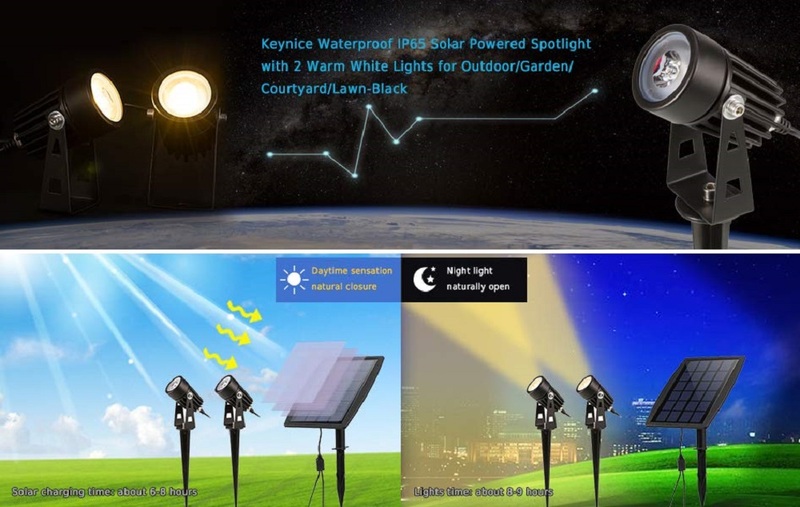 1.As the charging effect of the solar panel is depended on the sunlight, the LED light time is affected by weather, seasons, places,etc. 2.It is charging only when the switch is turned ON. 3.Don’t strike the product, so as not to cause irreversible damage. 4.The Stake is so sharp that you must be careful when using it. And don’t let children play with it.